Ice cream parlors are becoming the fad in the business industry nowadays. 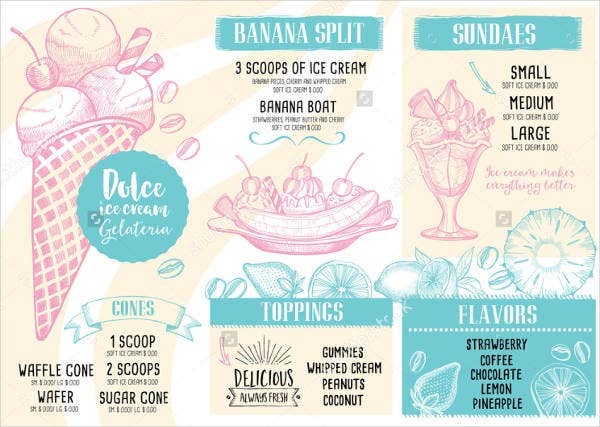 There are already a lot of ice cream shops that are present in different locations offering different ways on how an ice cream may be enjoyed. 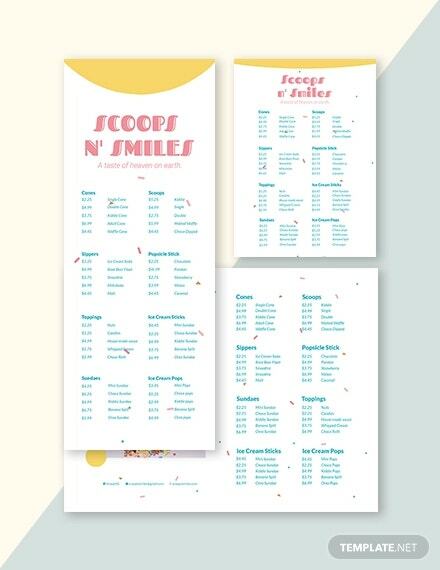 For an ice cream shop to be successful, their concept must be original and their ice cream menu selection must be exceptional. Also, the marketing tools that they use must also stand out compared to their competitors. 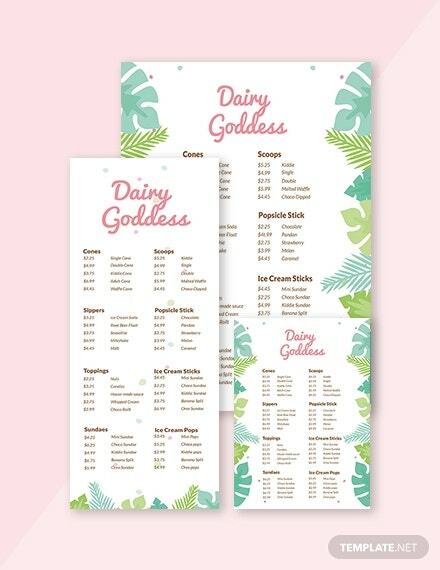 An ice cream menu helps the ice cream shop to be remembered by the clients as they can be reminded of the different ice cream selection of the shop where they went to. 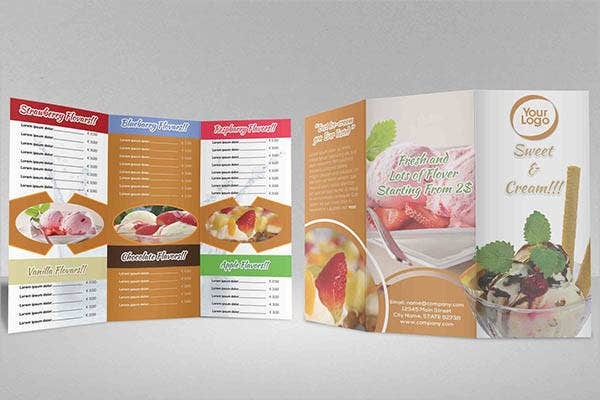 We can provide you with ice cream menu templates and other Price Menu Templates which you may use in other businesses and processes. 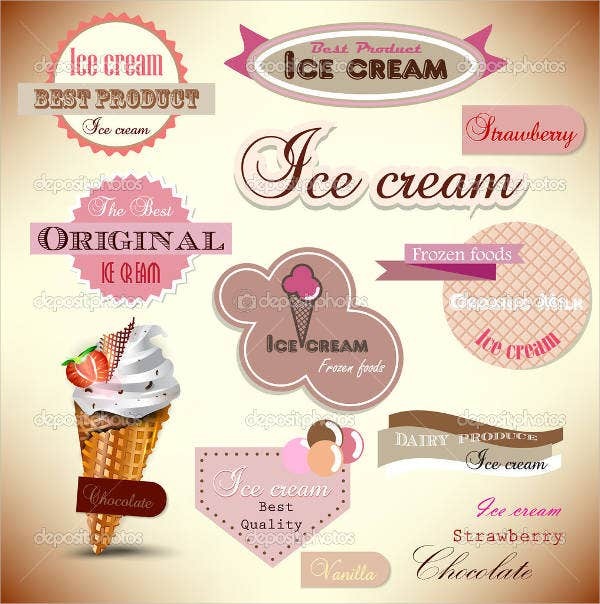 You can group together all the basic flavors of ice creams that you offer. This may include the usual home made ice cream flavors that are available for purchase. 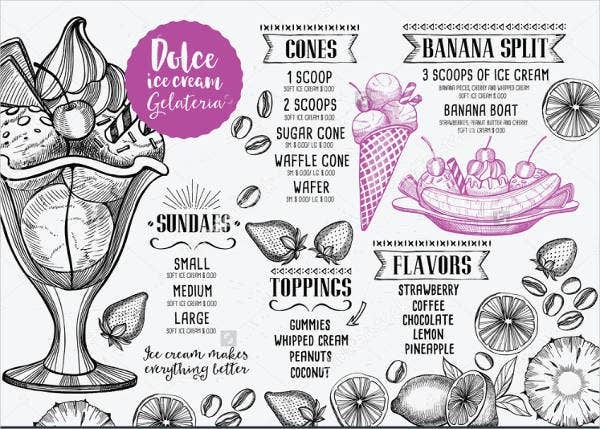 This can be the area of your ice cream menu for where your clients may select samples for them to have an idea of the flavor profile of your ice creams. The deluxe or special flavors may also be grouped together as they have a higher price range compared to the normal flavored ice creams. 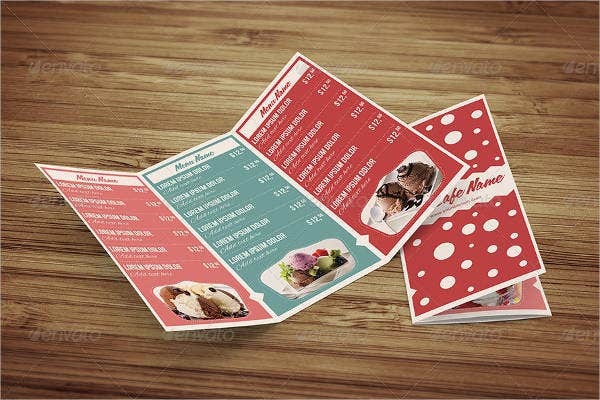 You can add your house specialty in this menu selection and you can even highlight it so it can be the flavor that will be associated with your brand. Ice creams may also be grouped depending on the ice cream flavors that are at the same price range. This will allow the consumers to select the flavors that are within their buying capacity. You may also group special ice creams based on the additional ingredients that are included in their flavor. 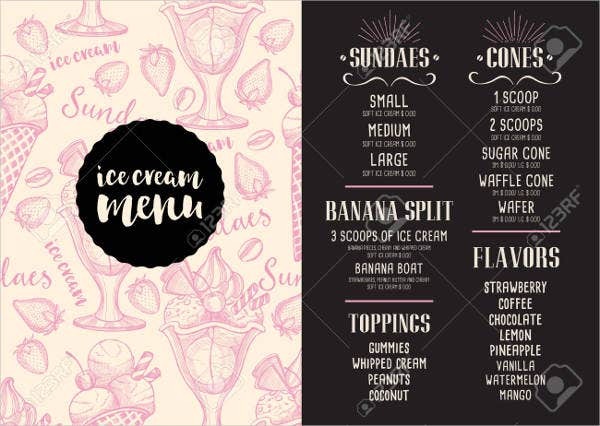 There may also be food items that consists not only of an ice cream but other ingredients which may include a banana split, an ice cream cone covered with chocolate, and other special items which may be grouped together. 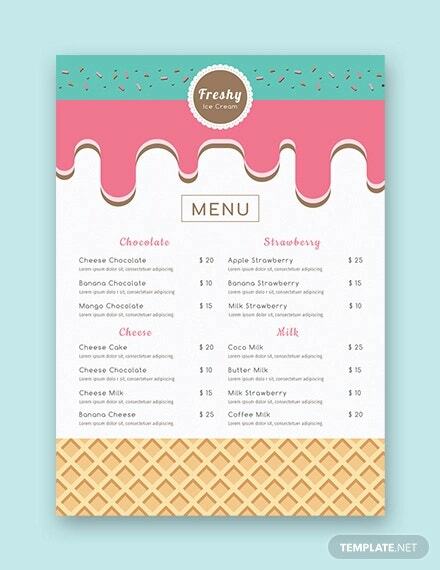 Aside from our ice cream menu templates, you may also download our Bakery Menu Templates. 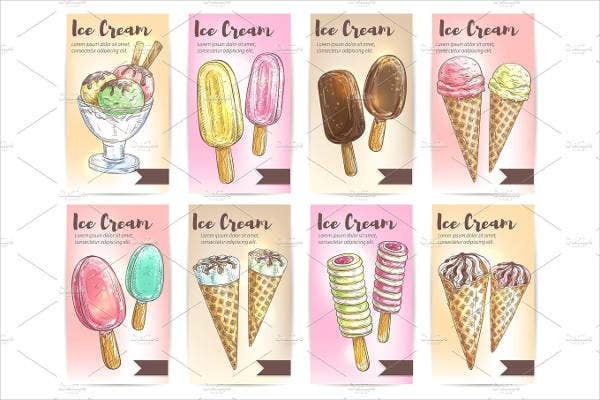 Be sure to use the actual photos of the ice cream that your business offers as it will lead to the expectation of the visuals of your actual product. 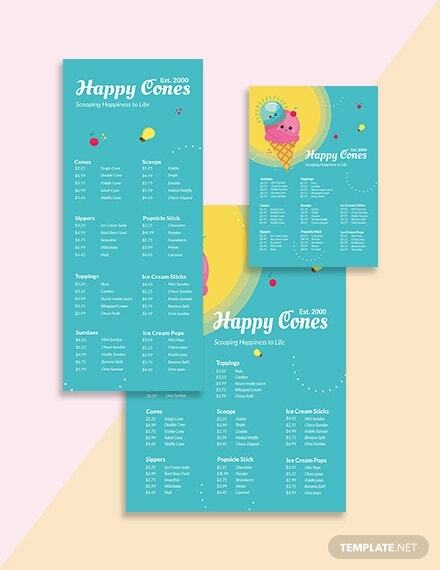 Create the ice cream menu appealing by using different colors associated with ice cream flavors and other design items that can make the menu more interesting. Assure that all the prices of your ice creams are up to date so to not cause confusion to your consumers. 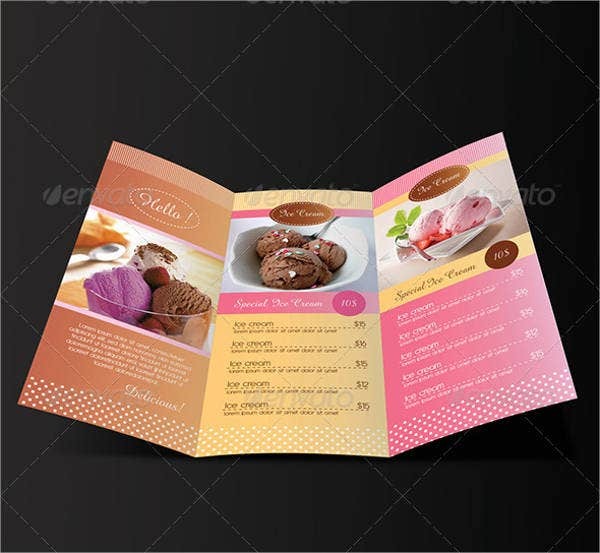 The concept of your ice cream menu must be authentic so that you will not be associated with other ice cream products and stores which may provide an advantage to your competitors. 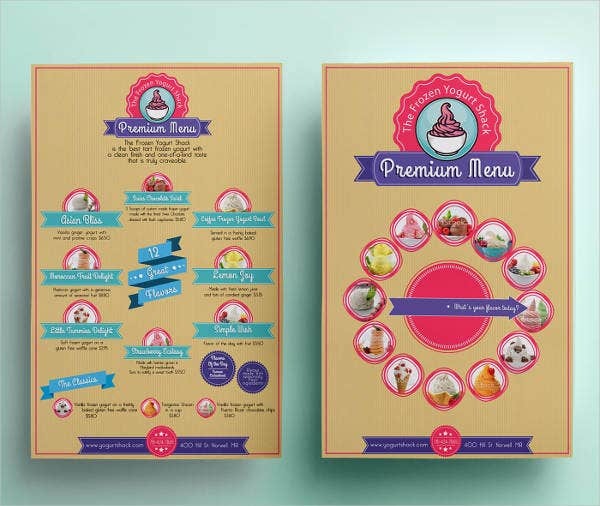 The ice cream flavors that are available in your menu must be available in real life. You need to assure that the clients can satisfy their ice cream cravings by giving them the flavor that they want as of the moment. 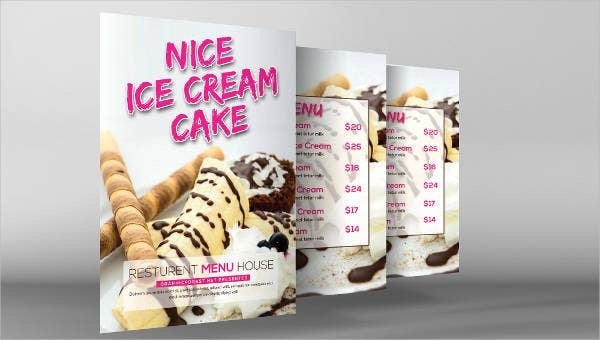 Other than our ice cream menu templates, you may also download our Food Menu Templates should there be a need for you to use it.